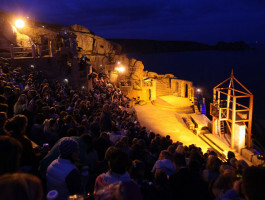 Why Visit This Cornish Theatre With A View? 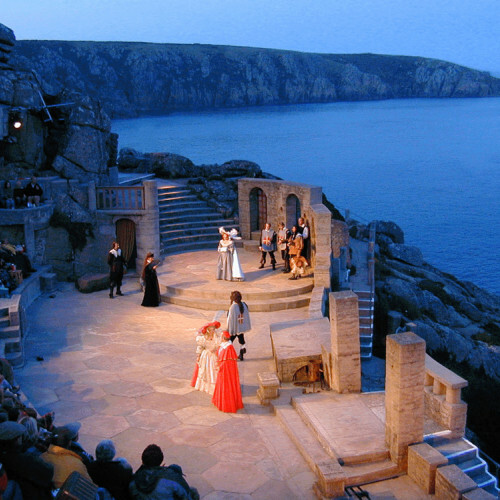 Breathe in a Cornish cultural legacy as world-class drama, musicals and opera are played out on the cliff edge and a crisp sea air fills your lungs. Contrary to what you might think about the English weather, this region has some of the driest and most temperate months in the country, so book ahead of the crowds and you’ll be in for a Midsummer Night's Dream! A dramatic panorama of the Atlantic coastline and rolling hills does its best to distract you but there’s plenty of time to take it all in after the show, with a true Cornish pasty and a very civilised spot of high tea. Maybe a warm scone with clotted cream as well, to round of this very English theatre experience. It Began With A Dream And Some Ruddy Hard Graft. 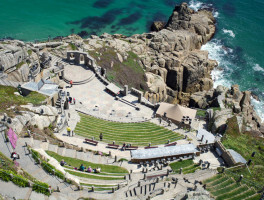 This stunning stage first came to life in 1931 when the lady of Minack House, Rowena Cade, dreamt of building an outdoor theatre on the edge of the cliff, terraced seating and all! Along with her faithful gardener Billy Rawlings, she hauled sand and boulders from the beach below to put this charming Cornish shire on the theatre-goers map. 85 years later and this remarkable stone amphitheatre with it’s vibrant subtropical garden draws thespians and tourists from across the world, as well as a handful of lost ramblers! World-class drama and music on a cliff edge. Unrivalled panoramas of the Cornish coastline. Surrounded by beautiful subtropical gardens.